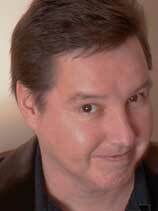 Don Kelly is a comedian, writer, and actor. As a stand-up comic he has performed in clubs and numerous comedy showcases on television and radio. 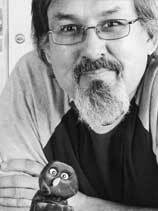 Don is currently host and writer of the Gemini-nominated television show Fish Out of Water on APTN. The show explores Don’s adventures as an urban Indian trying to learn the traditional skills and wisdom of Aboriginal peoples across Canada, usually with hilarious results. He has a background in media, having worked as a writer-broadcaster for CBC, as well as in strategic communications and media relations. For many years he served as Communications Director for the Assembly of First Nations and continues to do contract work for them as time permits. Don is a member of the Ojibways of Onigaming, of northwestern Ontario. 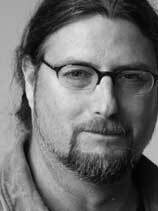 Steven Loft is a curator, writer, and video artist. He was recently appointed as Curator in Residence in Indigenous Art at the National Gallery of Canada, having previously worked as Director of Winnipeg’s Urban Shaman Gallery, First Nations Curator at the Art Gallery of Hamilton, and Artistic Director of the Native Indian/Inuit Photographers’ Association. Steven has written extensively on First Nations art and aesthetics for a variety of publications and his video works have been screened at festivals and galleries across Canada and internationally. He is a Mohawk of the Six Nations. Shaneen Robinson is a broadcaster, playwright, and television reporter for CTV News in Winnipeg. Her first play entitled Notay Kiskintamowin, which in Cree means “Wanting to Know” was awarded first place in the 2008 Canadian Aboriginal Writing Challenge. Shaneen was one of twelve Aboriginal youth chosen for the Lead Your Way National Aboriginal Role Model Program. 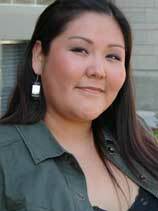 She is very active in the Aboriginal community and is a member of the Cree and Gitxsan Nations. Michael Massie is an artist who combines traditional Inuit imagery with western art influences and techniques to produce stunning contemporary works in silver, stone, and wood. Since his first exhibition in 1991, his work has been shown throughout North America and Europe, with pieces selected for prestigious museums and private collections, including the National Gallery of Canada. As an instructor Michael has traveled to the Arctic to oversee jewellery and stone carving workshops, and has served on art committees and boards. His work is notable for its meticulous detail and sense of fun. Michael is of Inuit, Metis, and Scottish descent, and lives in Newfoundland. Tom Jackson is a singer, songwriter, actor, and humanitarian. He has recorded fourteen albums and appeared in numerous roles on television and in film. 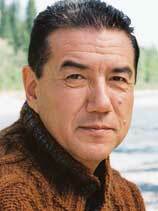 He is well known to many Canadians for his role as Chief Peter Kenidi in the long-running CBC TV series North of Sixty. Tom has applied his many musical and entrepreneurial gifts to combat hunger and support social programs. His Singing for Supper Tour, performed in churches and community halls across Canada, continues the Christmas concert tradition, which began with his annual Huron Carole Benefit Concert Series. His Swinging for Supper events pair his love for golf and live music, raising money and awareness for food banks and agencies meeting the needs of at-risk youth. Tom is an Officer of the Order of Canada and the recipient of numerous awards and honorary degrees. He was born on the One Arrow Cree reserve in Saskatchewan and currently lives in Calgary.